The one week of the year devoted to getting more people out on bicycles, when elected officials, which some notable exceptions — both good and bad — act like we actually matter. As opposed to the other 51, when they generally forget we exist. And there’s a long list of events to celebrate this week. Bike Week officially starts with a kick-off event at Union Station at 10 am today, along with the groundbreaking for the new Union Station Bike Hub. Starting today, bring your bike and you can ride Metrolink for free through this Friday. 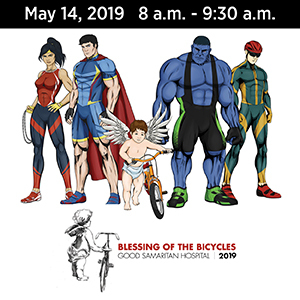 My personal favorite Bike Week event takes place on Tuesday morning with the annual Blessing of the Bicycles at Good Samaritan Hospital. West Hollywood will celebrate bike week by giving away free bike lights Tuesday afternoon, and hosting a WeHo Bike Hub on Bike to Work Day Thursday morning. Also on Tuesday, the Pasadena Complete Streets Coalition and BikeSGV host a free Taste of Pasadena ride in cooperation with Metro and the Pasadena Playhouse District Association. The annual Ride of Silence honors people who’ve been injured or lost their lives riding a bicycle in the last year, with rides in Pasadena and North Hollywood Wednesday evening, as well as several in Orange and Ventura Counties. Thursday is Bike to Work Day — aka trick or treat for bike riders — with a number of pit stops throughout the LA area. Glendale is celebrating Bike to Work Day as well, with a pair of pit stops in the city. Santa Monica is celebrating with Bike to Work pit stops and a Handlebar Happy Hour, as well as other specials throughout the week. BikinginLA sponsor Pocrass & De Los Reyes is sponsoring the LACBC’s Bike From Work Handlebar Happy Hour at the Wheelhouse Thursday evening. The long-awaited Hollywood Bike Hub officially opens with a grand opening ceremony at 9 am this Friday. Santa Clarita is hosting a Women’s Cycling Social next Monday. Metro officially ends Bike Month with the annual Bike Night at Union Station on Friday the 26th. Bike SGV lists several more events taking place in the San Gabriel Valley through the end of the month. And yes, they celebrate Bike Month behind the Orange Curtain, as well. While we’re on the subject, a few more events are coming up on three of the next four Sundays. The SoCal Cross Prestige Series is hosting the SoCal Gravel Trofee #2: Jewel City Grind! next Sunday, offering your choice of a 30 or 40 mile ride with up to 4,700 feet of climbing, 40% of it on dirt. 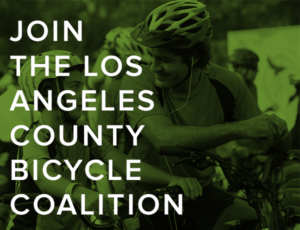 LA’s favorite fundraising ride is just three weeks away when the LACBC’s LA River Ride rolls on June 4th. And CicLAvia visits Glendale and Atwater Village for the first time on Sunday, June 11th. Speaking of Bike to Work Day, The Source offers three reasons you’ll want to Bike to Work on Thursday. And Bicycling busts nine myths that could keep you from riding that day. One more bike-related event this week, as election day finally rolls around tomorrow in CD1 and CD7. The Daily News says bike lanes in Pacoima and Sunland are off to a bumpy start, and have become an issue in the CD7 election. In one last interview, KCRW talks with CD1 challenger Joe Bray-Ali about his online comments, unpaid back taxes and why LA voters should trust him. Despite the controversy over the last few weeks, my personal feeling is that Bray-Ali is still a better choice than the incumbent Gil Cedillo, who has proven himself to be unresponsive and out of touch with his district, and inexplicably committed to keeping the streets of CD1 dangerous. But only you can make that choice for yourself. 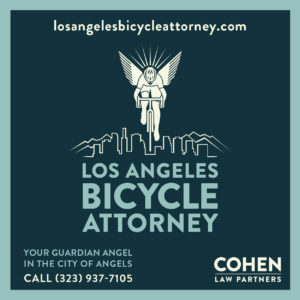 Before we move on, let’s pause for a quick sponsored post from my friends Jon Riddle and Sarah Amelar, authors of Where to Bike Los Angeles. Don’t let National Bike Month slip by without adding Where to Bike Los Angeles to your cycling library. It’s the best riding guide for LA by far, and you can pick it up during the ongoing one-month sale — this May only — for less than twenty bucks a copy directly from the authors’ Amazon store. This is what life looks like from inside the peloton at the women’s Amgen Tour of California. Saturday’s third stage was won by Tustin’s Coryn Rivera in a group sprint. Rivera did well in Sunday’s time trial, which ended in a one second victory in the overall standings. Meanwhile, women from Pakistan and Afghanistan are competing in Pakistan’s second annual Women’s Cycling Championship, in a far more challenging environment where women are actively discouraged from riding, let alone racing, bicycles. The LA Times looks forward to the Amgen Tour of California, suggesting defending national time trial champ Taylor Phinney should feel right at home since he trains in Southern California half the year. Sunday’s opening stage was a good day for Germany’s Marcel Kittel. American Tejay van Garderen is relaxing into a different way of riding in his first Giro. Sunday’s stage was marred by yet another crash with a race vehicle; VeloNews calls it chaos and questions the sportsmanship of not stopping the peloton when race favorites go down. No need for pros to give a racing fan a souvenir from the Giro when they can just take it themselves. Great news from Australia, as South African cyclist Keagan Girdlestone is competing in his first race after nearly dying when he crashed through the rear window of a team support vehicle while racing in Italy. On a sadly related subject, several British riders were injured in a local race when they smashed into the side of an ambulance on a fast descent, with one rider going through the van’s window. The long-discussed bike, pedestrian and equestrian bridge across the LA River in Atwater is finally nearing approval this month, despite a $16.1 million price tag. Hopefully, separate spans for horses and humans will keep the horse riders from trying to get bicyclists banned, unlike another bridge in the area. Pasadena police plan to celebrate Bike Week by ticketing anyone who breaks traffic laws that can put pedestrians or bicyclists at risk today — including bike riders who fail to observe the laws that apply to motorists. Because the best way to discourage bike commuting is to ticket people just trying it out. No, that wasn’t a bomb on the campus of Biola University in La Mirada. Just a bike tire exploding in a recycling bin. The CHP celebrates Bike Month by telling drivers to obey the three-foot passing law, and telling bicyclists that drivers don’t run stop signs. The San Diego Union-Tribune says it’s ludicrous for city projections to call for eighteen percent of people who live within half a mile of transit station to commute by bike by 2035. Even though that’s a very limited subset of the population, and just calls for an increase of roughly one percent a year, which should be doable if the city follows through on its ambitious plans to improve infrastructure. Coronado considers a proposal to cut bicycle fines in half, from $100 to $50. But doesn’t say what the fines are for. The Press-Enterprise recalls when the legendary Annie Londenderry rode through Riverside on her 1894 bicycle journey around the world. Horrible news from Santa Paula, where a man was seen riding off on his bicycle after beating a man who was sleeping on a park bench and setting him on fire. A former traffic safety engineer says Paso Robles needs to stop painting bike lanes in residential neighborhoods, because he thinks they’re too wide and will make property values go down. Never mind that narrowing traffic lanes slows drivers — which he should know — and bike lanes usually make property values go the other way. Sad news from the Bay Area, where a Hayward man was killed riding his bike in nearby Sunol when a pickup driver rear-ended him on a road with no shoulder; the driver played the universal Get Out of Jail Free Card by claiming the sun was in her eyes and she just didn’t see him. A Napa paper says you probably need a gravel bike. Auto Week explains how self-driving cars will hopefully avoid bicyclists and pedestrians. Taking quinine might help your muscle cramps — if it doesn’t kill you. Bicycling talks with 24-year old Amanda Corker, who set a new year record with more than 86,000 miles in a single year, averaging 236.8 miles a day. An injured Oregon bike rider was the victim of apparent street-racing hit-and-run pickup drivers. New York will install bike lanes on a Brooklyn street after 5,600 people signed a petition calling for it. Sixty-six years old, riding a bicycle, and slinging heroin laced with fentanyl on New York streets. Which is pretty much my entire retirement plan. Thanks to Tim Rutt for the heads-up. About time. A New York man is teaming with an Israeli company to develop a device that would allow police officers to tell if a driver has been texting. A writer for the Wall Street Journal demonstrates that a little knowledge is a dangerous thing, celebrating the walkability of the city, while lamenting the safety improvements that help keep that possible, because it makes her cab rides take longer. A DC columnist mostly gets it, saying it’s illegal for anyone to run a red light, whether walking, riding a bicycle or driving, but that only drivers pose a significant risk to others. 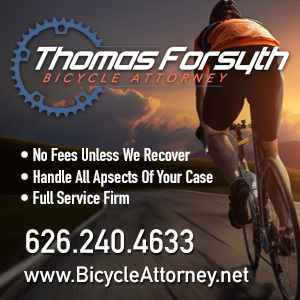 However, he fails to consider that Idaho bicyclists are allowed to go through a light after stopping and observing the right of way, and that riders in several other states can legally go through a light that fails to change, including here California. But good luck telling a cop that. A Virginia writer considers what causes road raging drivers to threaten cyclists. The war on cars may be mythical, but the war on bikes is all too real, as a New Orleans man was shot with a pellet gun while participating in a weekly group ride. A Kiwi couple has made it deep into Mexico on a bikepacking journey from Alaska to Argentina that started in June of last year. Patrolling Guatemala City by bicycle. A Canadian woman goes for her first bike ride at 97 years old. A British cop rides her way back to mental and physical health after surviving stage three breast cancer. When an Indian woman jumped in front of a train after fighting with her parents over replacing the stolen bicycle she used to commute to college, her mother jumped in front of it to try to save her; sadly, both women were killed. What the hell is wrong with people? An Aussie man intentionally ran a bicyclist off the road with his motorcycle, then bragged about it in a nearby café as his victim lay dying; he faces up to 25 well-deserved years behind bars after pleading guilty to manslaughter. In what may be the most ridiculous survey of the year, 70 percent of drivers in Australia’s Victoria state think streets are too dangerous for cyclists, and two out of five reported a near miss with someone on a bicycle. Never mind that they’re the ones who make it dangerous for people on bikes. No, Lance is not dead. Make sure your bike is strapped on tight before you drive. And if you’re going to steal motorcycles and ebikes, it’s probably not the best idea to post photos of yourselves standing on a police car. The metrolink savings copay, with one way fares so high that a week pass is 98 bucks for a sixty mile high speed electric whisk, 28 round-trip, so by 3 get seven days free normally, is this week I learn for first time ever, waived, even I assume with folding bike. Most important week to fold, as again it can be assumed, the train will have more seats for folding bike passengers then bike cars provide. The website says be prepared to catch next train if free riders exceed empty train seats. They should of mentioned folding Bikes! Cheap ones can now be bought for next year’s promotion at least if it can be assumed. So if your rent is too high, consider smaller wheels combined with European style transit if a station is nearby either or neither end. Consider all employer and housing stations. This week riding for free should inspire. It though is a week to loan your folder to a daily rider at risk of being delayed. Promotion is too generous perhaps. A waze style app that provides Intel if not reserves spots in bike car is not mentioned. They do not even show off peak times for new riders who can board other then rush hour…. Such daily nearly empty cars justify cost of instead paying bikes shops to provide a free week of folding magic. The hundreds of dollars monthly revenue each can bring if filled is not enough for them to really so market. We own these trains and should better save planet keeping them topped off. More then jets, cost of filled seat versus untaken is insignificant, societal cost though is seen by more highway miles then railed by far oddly. Road, full sized, bikes on trains are often not needed as batteries can extend range of wider more stowage wheels etc. The cheap weekends rock, making trying a train a condition of getting a driver license with a stop proximate stop obvious reform. Only fully informed car commuting should be tolerated. The fares are a small percentage of car cost even if $14 for 40 miles seems not so.